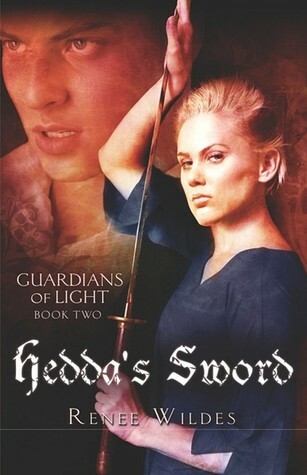 Giving Renee Wildes the credit she deserves, Hedda's Sword is better written from a technical standpoint than Duality: Guardians of the Light, Book 1, a book I had difficulty with in several spots for the choppy and abrupt narrative and lack of exposition throughout. This book doesn't suffer the same fate in that regard, as the narrative is much smoother and the plot flows far more cleanly and clearly. It's quite obvious that Wildes had a better hand on those aspects of writing than she had in the first book. I still think there are some issues with world building to be ironed out, because while I enjoyed the story, I never felt like I had any true picture of the land of Shamar and it's people and traditions beyond the dubious scope of Hedda's Own. The quest and the pacing of the story were satisfying, though, and I was familiar enough with Cianan from the first book to enjoy his travails. At the urging of dark and foreboding nightmares, the elven Cianan has travelled to Shamar to find and save his elingrena, his soul mate - a woman he's never seen with his own eyes, but a woman he knows hefts a flaming sword and is in dire danger of falling beneath a skeletal army foe. Upon arriving in a bleak and hopeless land, he is conscripted by his honor as champion of Light to aid Hedda's Own, his elingrena, in the fight for freedom against a mortal but insidious foe, the evil Queen of Shamar, Sunniva. With Cianan comes rebellion and a fight for freedom for all of Shamar's people. His boon should they all survive, perhaps the love of the one woman for whom his heart beats. It was a good story, solidly told, but I don't think Cianan and Maleta's story quite matched the level of intensity, danger, and emotion that was evoked in Duality. It may have been technically better written, but I didn't feel nearly as intensely for Cianan and Maleta as I did for Loren and Dara. 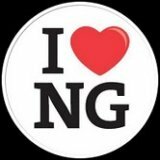 Despite the technical issues I had with the first book, I felt that story was a true triumph, and would have preferred suffering the slights of technical imperfections for the joys of emotional investment in story and character. I just felt everything came too easy and was too quickly resolved in Hedda's Sword, and while there were moments sprinkled throughout that did engender an emotional connection, I wasn't able to keep that connection steady and never felt that any of these characters truly wavered on the precipice of victory or defeat. It was a solid story, told well, but no true risk was realized before resolution was afforded, and that doesn't make a sweeping epic tale. I did very much like Cianan, but even his character lacked the depth of Loren's, who never struck me as too good to be true like Cianan did a time or two. I guess that's what bothered me the most about the lead characters, there just didn't really seem to be many layers or much complexity to them. Even Maleta with her dark history and deep pain seemed to triumph over her issues too quickly and easily. I feel almost churlish complaining about that, though. I don't want my lead characters to suffer miserably...but do tend to find them more interesting when they do. That's horrible of me! Still, it kept this particular book from being more than a 3.5 star read in my opinion - technically well done, but lacking the impact to really wow me.